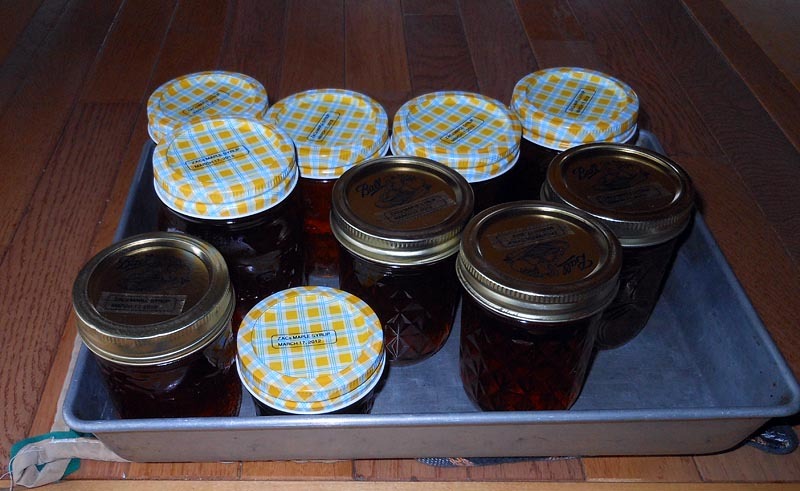 After the bulk of the boiling was done outside I did the finishing and canning of my New Hampshire Maple Syrup in the kitchen. I need to get a hydrometer and a better thermometer for next year. I learned from my first batch of boiling that it is easy to over boil. Over boiling results in sugar crystallizing and precipitating from the syrup as “sugar sand” as your syrup cools. I need an assistant for the canning process next year. I will have to enlist the aid of a friend and bribe them with a jar or two of precious syrup. It was quite hard to juggle everything during the canning process solo. I used coffee filters in a little filter jig over each jar for filling. Coffee filters have a very fine a pore size and blocked up rather quickly. Coffee filters are cheap thankfully as I had to use a new filter for each jar I filled as the pores blocked up. 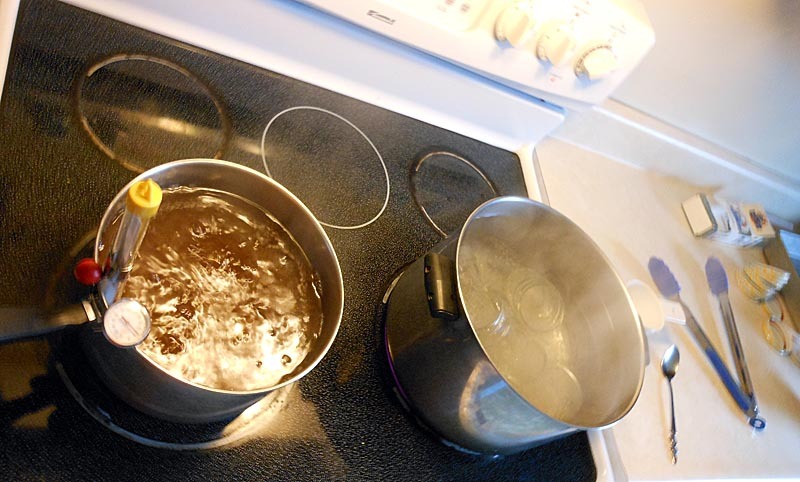 The smell of the boiling syrup fills the house with a wonderful warm aroma that lingers for the entire day. I quite enjoyed the scent of maple syrup filling the house. 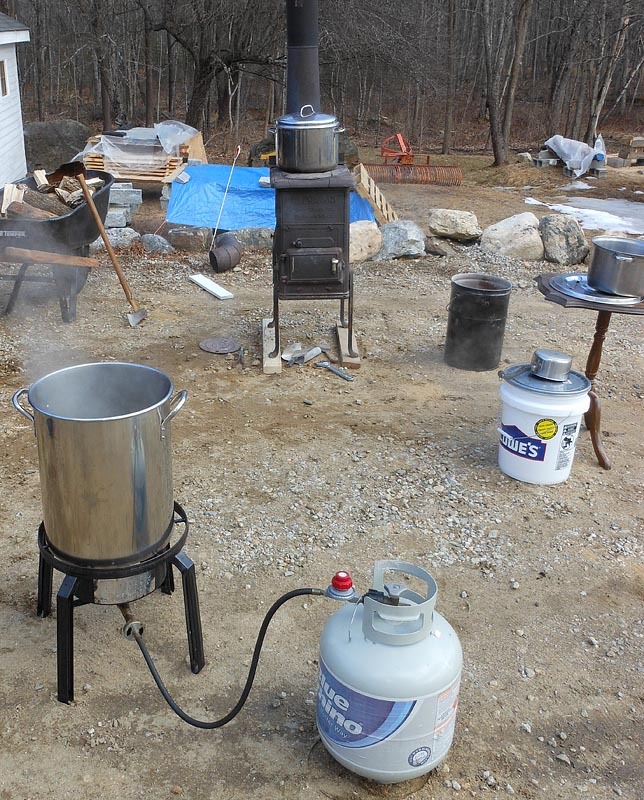 The first go around of boiling produced 25 oz of syrup from ~18 gallons of maple sap. 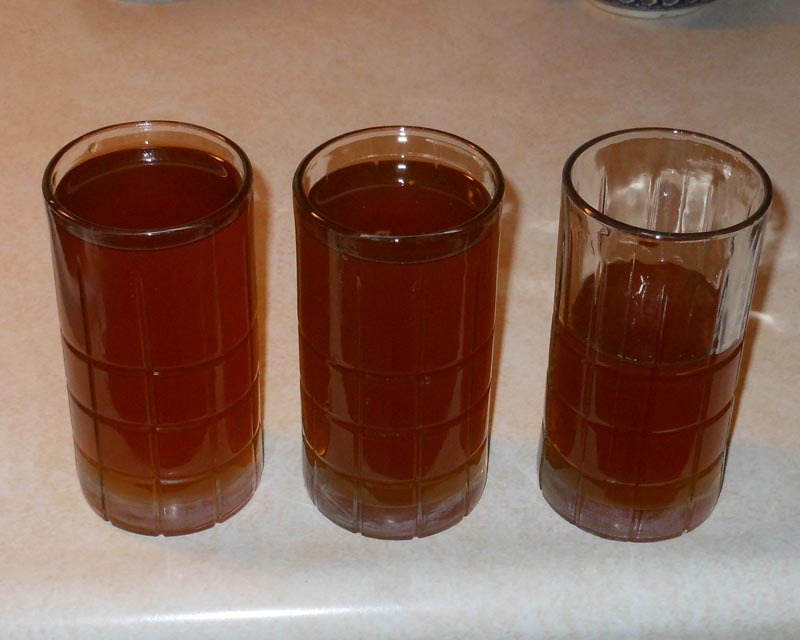 There were losses in the forms of minor spillage, sampling during process, filtering, etc. I over boiled my first round and a large amount of sugar sand precipitated from it as it cooled. My first round was capped with aluminum foil and put in the fridge for current use. The second round of boiling I canned in small 4 and 8 oz jars for storage. Before any friends and family ask, no there is none left for the asking this year. 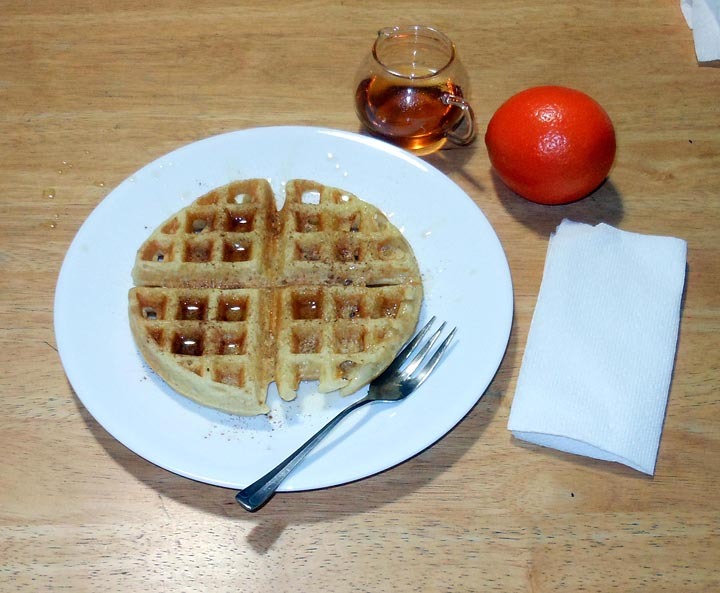 This is my first meal I enjoyed with Zac’s New Hampshire Maple Syrup. It was delicious. The first run of syrup was very light and super sweet. It was not strongly maple flavored but very enjoyable. I have since enjoyed a breakfast that uses maple syrup on most mornings. 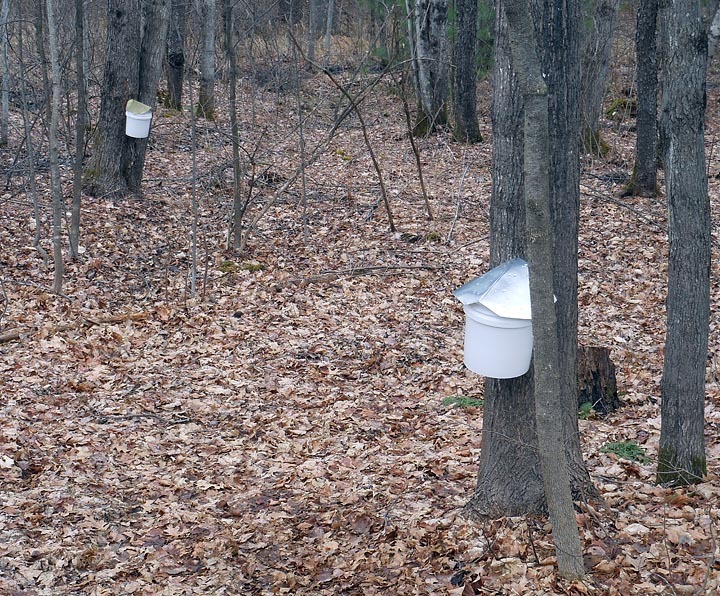 Food you grow or acquire yourself always tastes better and I can now say this holds doubly true for Maple Syrup you make yourself. I’m certain I will do this again next year and suspect I will be a fair bit more serious about it. I might build a small reverse osmosis unit using commonly available household cartridges to concentrate the sugars before boiling. I will get some 55 gallon food grade barrels for sap storage as the 5 gallon pails are too small and you need too many of them. I must come up with a better wood fired evaporator solution, either by building an arch from scratch or modifying my current wood cook-stove.